G.U.R.L.S. 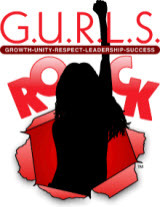 ROCK founder & CEO Dr. Raye Mitchell brings the acclaimed G.U.R.L.S. Rock Leadership Summit to Los Angeles to share its unique leadership training program for girls and women of color starting at 9:00 a.m. on Saturday, March 24, 2012 at the Hilton Checkers Hotel, 535 S. Grand Ave. Chenese Lewis, Immediate Past President of the Hollywood Chapter of the National Organization for Women, will co-host the Summit that is about confidence to take charge of changing the images of girls and women in media and entertainment. During the Summit titled "Change it Up! Leadership in the Entertainment Industry," the next generation of global leaders of girls and women (ages 12-25) will participate in workshops that focus on self-confidence, networking, mentoring, leadership skills, and careers in the entertainment industry, social change, law and business. Nichelle Garrett, Executive Director of Hill Harper's Manifest Your Destiny Foundation said, "The Manifest Your Destiny Foundation is thrilled to support the efforts of Dr. Raye Mitchell and The G.U.R.L.S. Rock Leadership Program. Our girls will be the women that will lead us into the next millennium, and we encourage their involvement in building their characters through participation in this program." Garrett continued, "Although many extraordinary women leaders have been involved with G.U.R.L.S. Rock, we believe that Dr. Mitchell is one of the best role models with whom girls can come into contact. We are honored to be a part of G.U.R.L.S. Rock and our girls' progress." This summit is sponsored by Hilton Checkers Hotel. Event details and registration forms are available online at http://www.gurlsrockla.org. G.U.R.L.S. Rock will provide a limited number of all-expense-paid scholarships for this event for girls who attend Animo Locke High School #3 and Los Angeles High School. Direct questions regarding this event to Nicole at 510-836-0102. 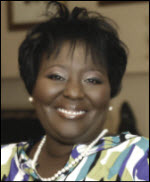 Having attended Los Angeles High School before leaving on early admissions to University of Southern California, and graduated from USC Sol Price School of Policy and Marshall School of Business, Mitchell commented, "I am delighted to return home to provide Los Angeles-area girls and girls of color with tools to excel in changing the images of women and women of color in media and entertainment." Founded in 2010 by practicing attorney-turned-social entrepreneur Dr. Raye Mitchell, G.U.R.L.S. Rock Leadership Program is a global leadership-training initiative of The Making a New Reality Foundation, a 501(c)(3) tax-exempt organization. As a social entrepreneur program celebrating the importance of girls and girls of color as the next generation of global leaders, Oakland, California-based G.U.R.L.S. Rock has a different approach to supporting the growth and development of girls of color ages 8 to 18. “G.U.R.L.S.” stands for Growth, Unity, Respect, Leadership, Success. To learn more about G.U.R.L.S. Rock, please visit http://www.GurlsRock.org and http://www.fb.com/GurlsRockPower. G.U.R.L.S. Rock is a proud member of the Confidence Coalition and the Geena Davis Institute on Gender in Media.